Arenal Golf apartment - Just for fun Benalmadena quiz, part two! Arenal Golf is not just about apartment rentals in Benalmadena, we do like to have a bit of fun too and that is why we have created our second just for fun Benalmadena quiz. There is a lot more to Benalmadena than Sun, Sea and Sangria and we have come up with 10 questions that we think will really test your knowledge. 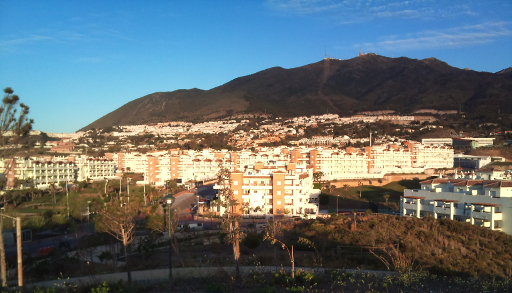 How much coastline does Benalmadena have? What does Paloma park translate as? are just two of the questions we have for you, so you will really need to bring your “A” game to grab a 10 out of 10 today! So, if you think you know your parks, coastlines and weather in Benalmadena try our fun quiz now and see how well you do. Q 01. How tall is Benalmadena Stupa in metres? Q 02. What does Paloma park translate as? Q 03. How many Kilometres of coastline does Benalmadena have (approx)? Q 04. Which one of these famous Spaniards was born in Malaga? Q 05. During which centuries was Santa Domingo church built? Q 06. Benalmadena was the "Vigía de la Costa" (lookout post for the coast) and proof of this remains today with its existing watchtowers. How many watchtowers remain in Benalmadena? Q 07. Castillo de Colomares is a monument, in the form of a castle, dedicated to the life and adventures of which famous explorer? Q 08. Which industry along with vineyard cultivation reactivated the local economy during the 18th and 19th centuries? Q 09. On average, how many days of rain does Benalmadena experience each year? Q 10. Benalmadena is the home of the "Niña de Benalmadena" (the little girl of Benalmadena). What is the sculpture of the little girl holding in her open hands? You need to brush up on your knowledge a little more! Not bad, you know your stuff! Very good, you've been to Benalmadena before, haven't you?! Good quiz . Amazed how many I got right. Ha, got 7 out of 10, not bad. 8 out of 10, not bad!